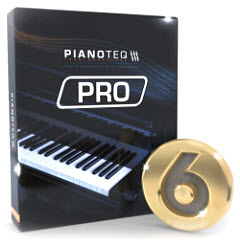 Modartt releases C. Bechstein Digital Grand for Pianoteq. This physically modelled virtual instrument is authorized by Bechstein and is available as an instrument pack for Pianoteq 6. C. Bechstein Digital Grand This physical model of C. Bechstein Digital Grand is originally derived from a C. Bechstein D 282 concert grand piano, captured by the acclaimed Teldex Recording studio in Berlin. Physically modelled By being physically modelled, this virtual instrument offers several important advantages: a file size of less than 2 MB (Megabyte), superior playability, natural resonances, and access to unique physical parameters to shape the sound to your preference.